I grew up hating liver when I was a kid. 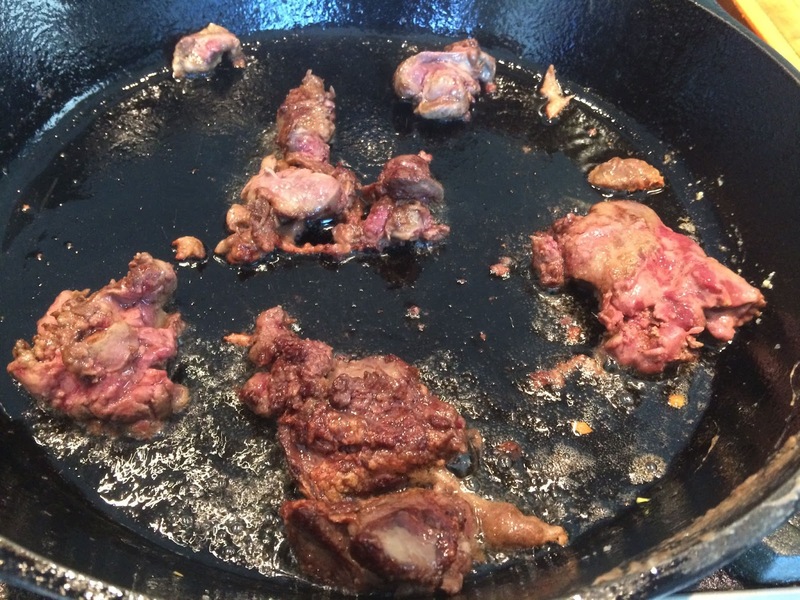 My mom would occasionally make beef liver for my dad while the rest of us ate something else. However, the fact that I liked liverwurst gave me an opening to develop a liking at least for chicken livers. Over the past few years, thanks to a trip to Rome and working through various recipes that feature them, I've been adding dishes with them into our regular rotation. 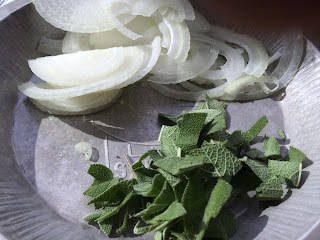 This recipe is based on a dish from The Country Cooking of Italy by Coleman Andrews, a very intriguing cookbook I came across on a recent visit to Powell's Books in Portland, OR that I am slowly but surely working through. The original recipe uses the dish as a topping for bruschetta but this take uses it as a sauce for spaghetti. This dish seems to be much more along the lines of what I would see in Italy, not so much what I've seen in most Italian-American restaurants here in the US. And it's really very good. The 'trimming' of the livers above refers to 'peeling' off the thin membrane (I use paper towels to rub them off) and cutting off any connective tissues, the little stringy bits that hold the larger sections together. Be sure to wash and clean your hands thoroughly after trimming. Timing is a little tricky on this dish. 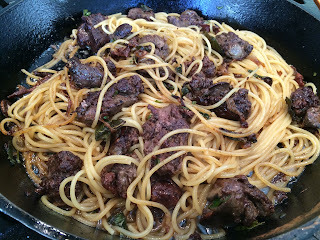 You want to have the cooking of the pasta coordinated with that of the livers so that the pasta can finish in the skillet without either it or the sauce sitting around waiting too long for the other. Figure roughly that the pasta will take about 8 minutes from when it is added, the livers will take about 10-12 minutes in all once you first start cooking them. Put the trimmed livers into a bowl and season liberally with the salt and pepper. 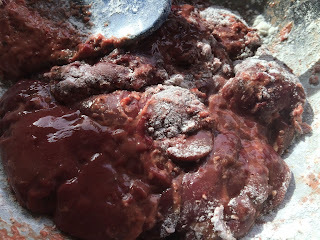 Add the flour, stirring to completely coat the pieces, then put aside. Heat a large saucepan with plenty of water and salt in which to cook the pasta. In a large skillet over medium-low heat, add half of the butter - when it has melted and the foam has subsided, add the onion slices. Cook the onion slowly over 10 minutes to soften but don't allow to brown yet. 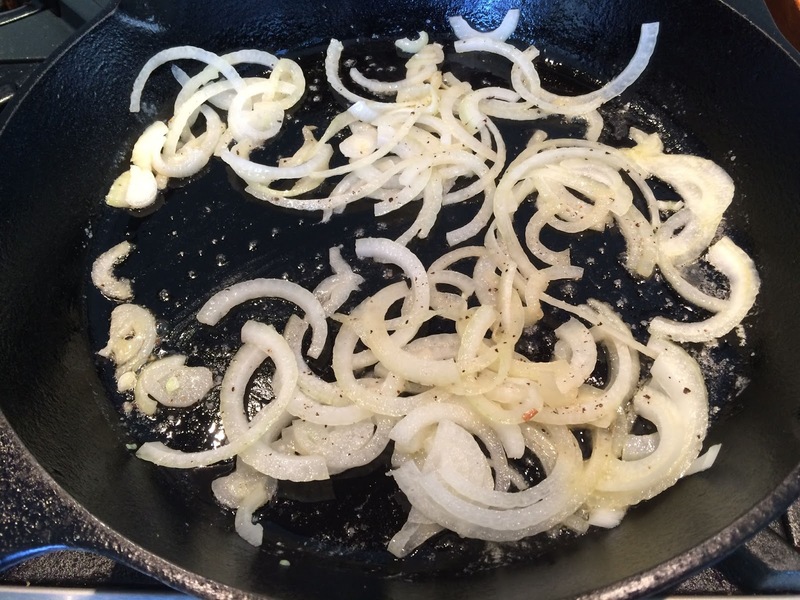 Remove the onion from the pan and set aside. Increase the heat in the skillet to medium-high, add half the olive oil then half of the livers. Cook to sear and brown them thoroughly, about 5 minutes in all. 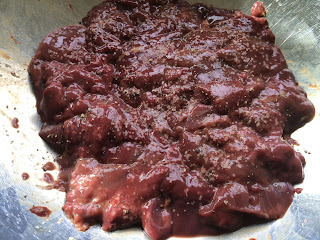 Remove this first batch of livers into their own bowl, add the remaining oil then the remaining livers and cook likewise. Remove the livers then kill the heat under the skillet while you start the pasta. Once the water in the saucepan is boiling add the pasta and cook about 1 minute short of the recommended time on the box. 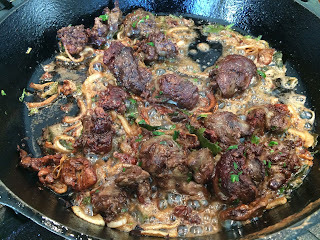 Meanwhile, bring the skillet for the livers back up to a medium-high heat, add the remaining butter to melt, add all of the livers with the onions and the sage and cook for about 2 minutes, stirring frequently. Add in the red wine vinegar and the parsley, stirring to combine. Cook until the pasta is finished. Drain the pasta, reserving about a cup of the cooking water. Add the drained pasta to the skillet with the livers, moisten with a little of the cooking water (about 2 tablespoons, more if needed), and finish cooking the pasta until the water is reduced, about 1-2 minutes.